It’s the end of the week and my skin is screaming, “feed me, you heartless monster!” After removing my makeup, cleansing and toning my face, I lay this baby on. I then snuggle into bed to watch an episode of my latest drama while Tony Moly does all the work to replenish my skin and make it glow again. You’re recommended to put it on for 20-30 minutes, but I wait until my show is done for all the moisture gets sucked out of the mask and into my skin. I peel off the mask and pat the remainder of the product into my skin. I follow up with a moisturising night cream and intensive eye cream. My skin feels healthy, happy, and replenished. 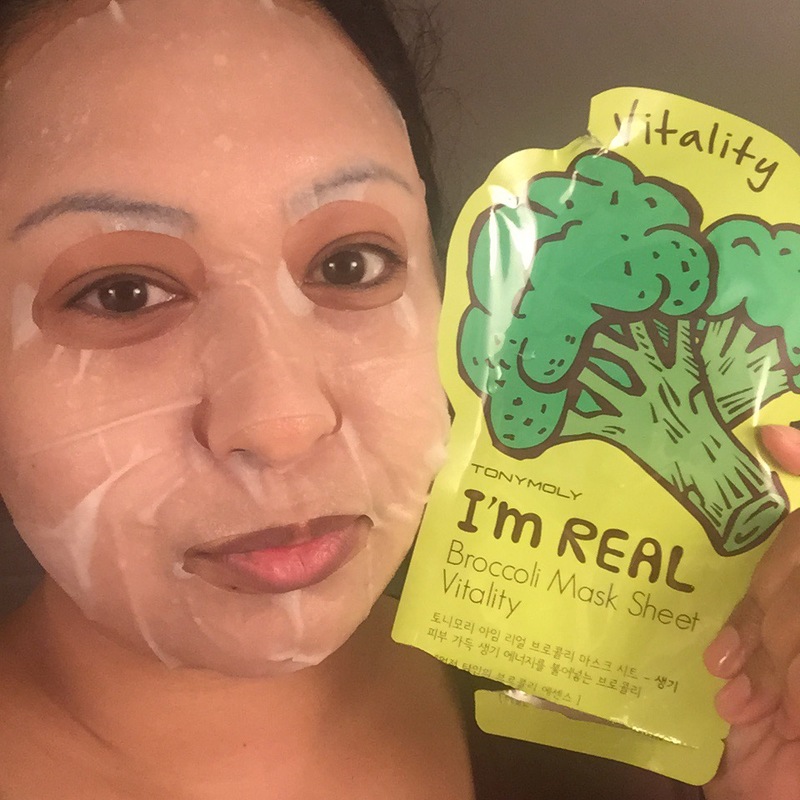 Overall, I enjoy Tony Moly masks. The shape is not the greatest, but their formulas tend to work well, and you can’t argue with the price point. On Amazon, you can purchase 11 kinds for £9. Not bad at all.